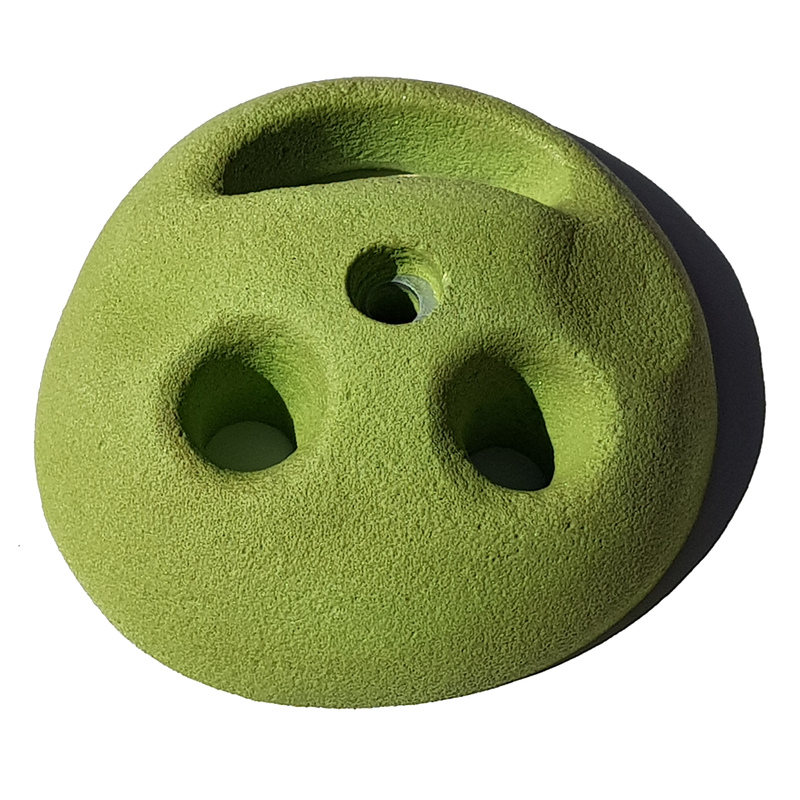 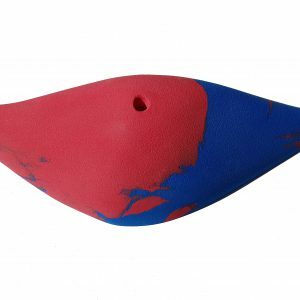 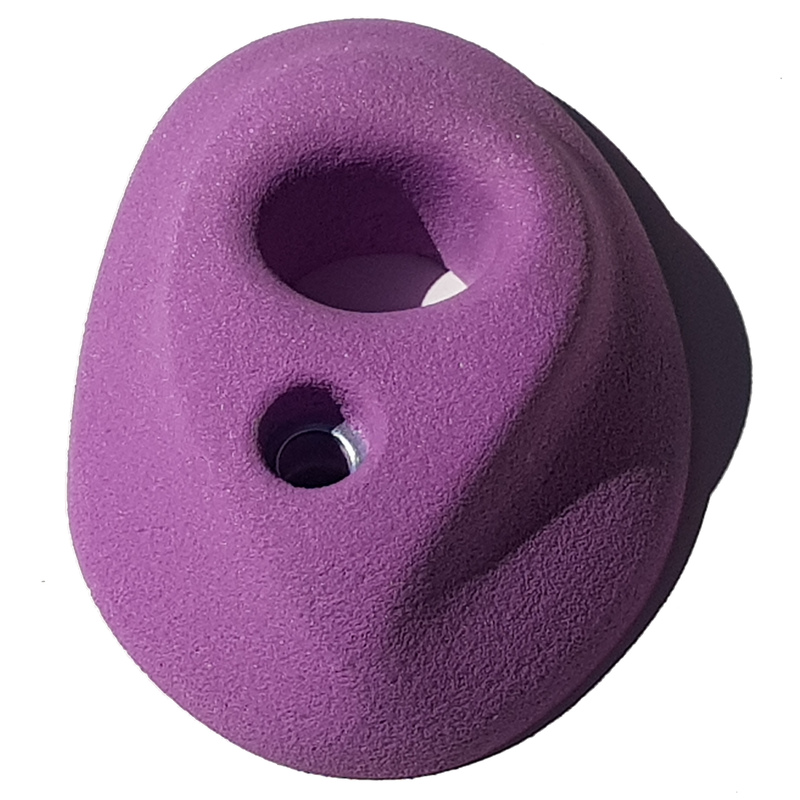 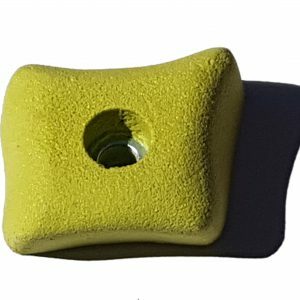 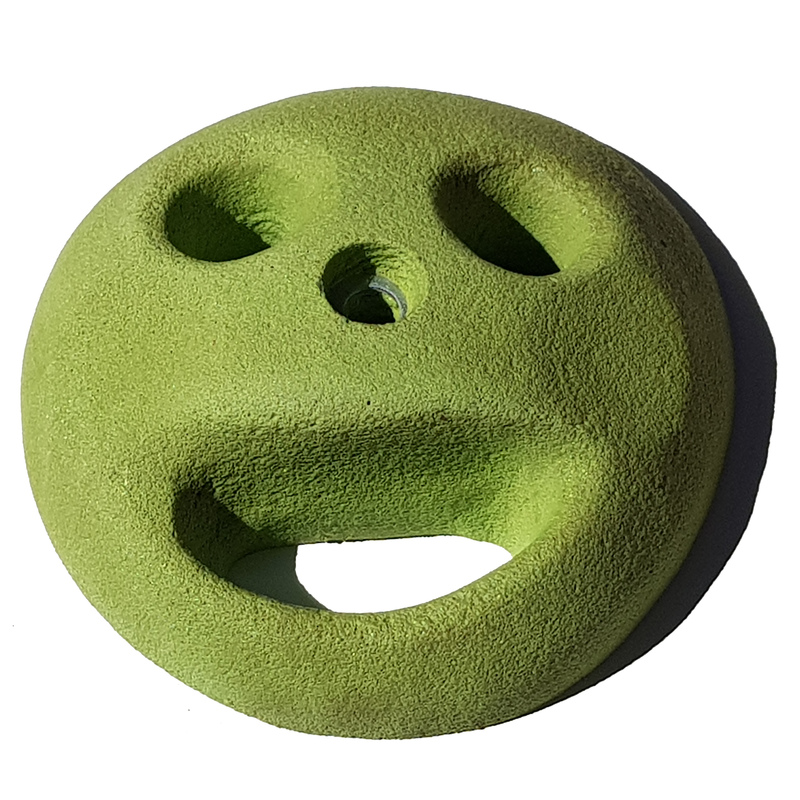 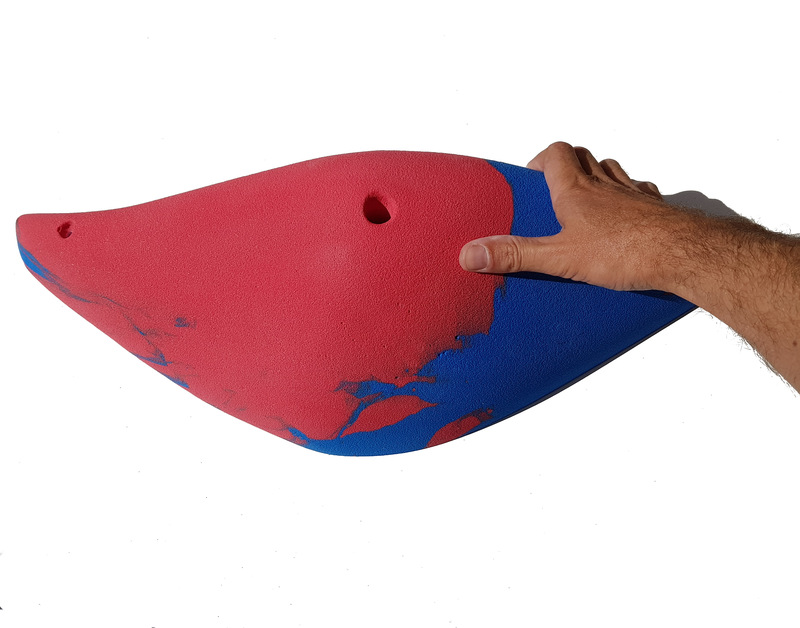 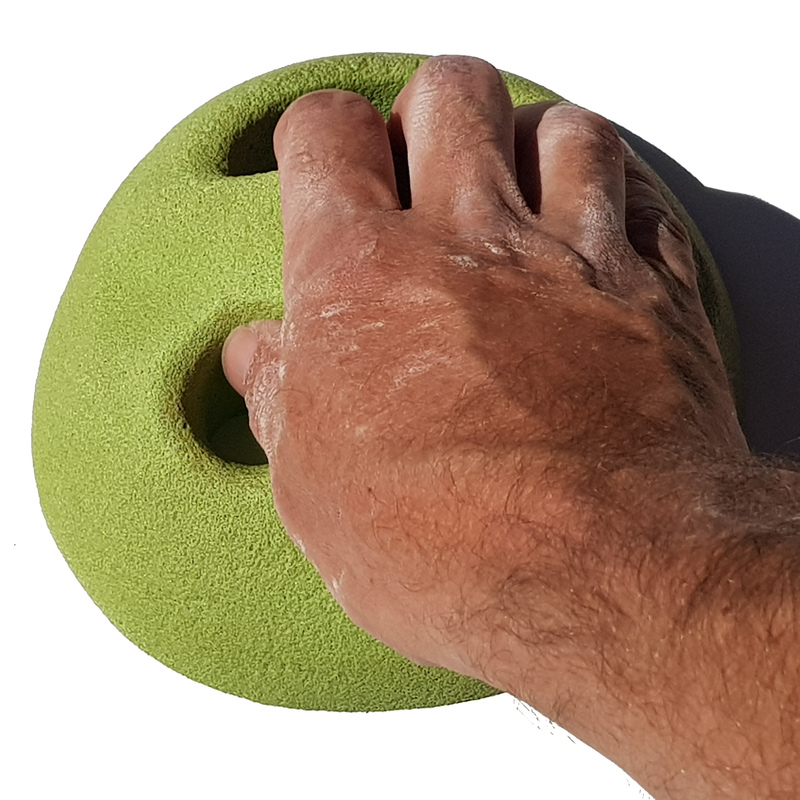 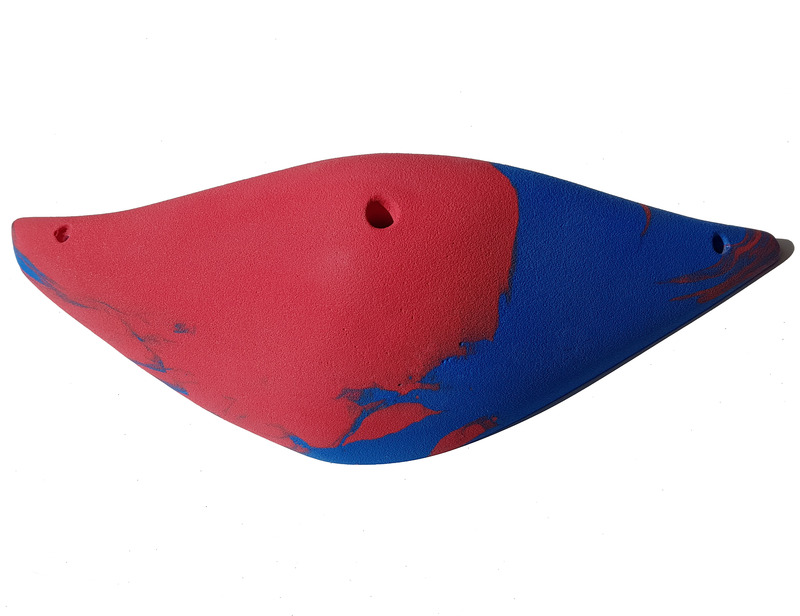 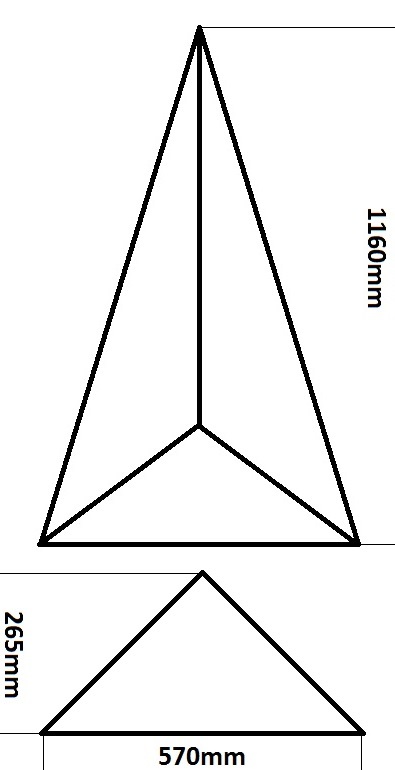 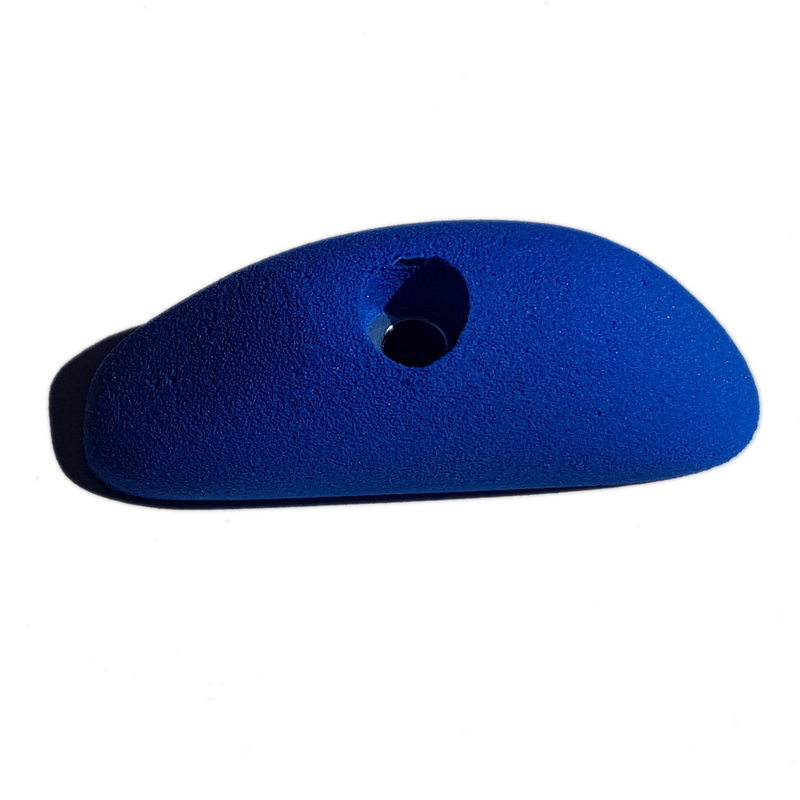 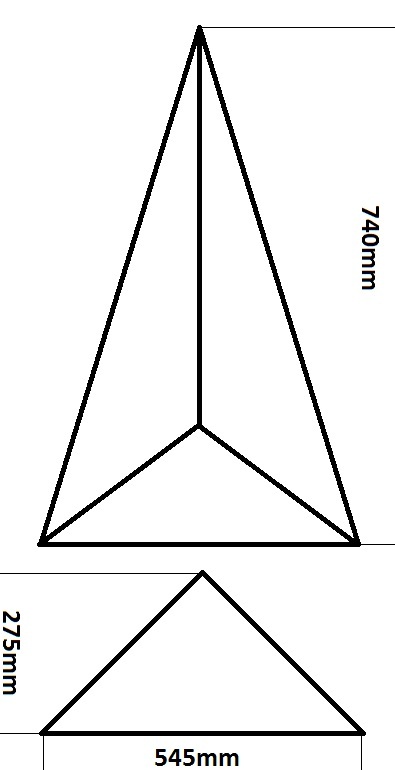 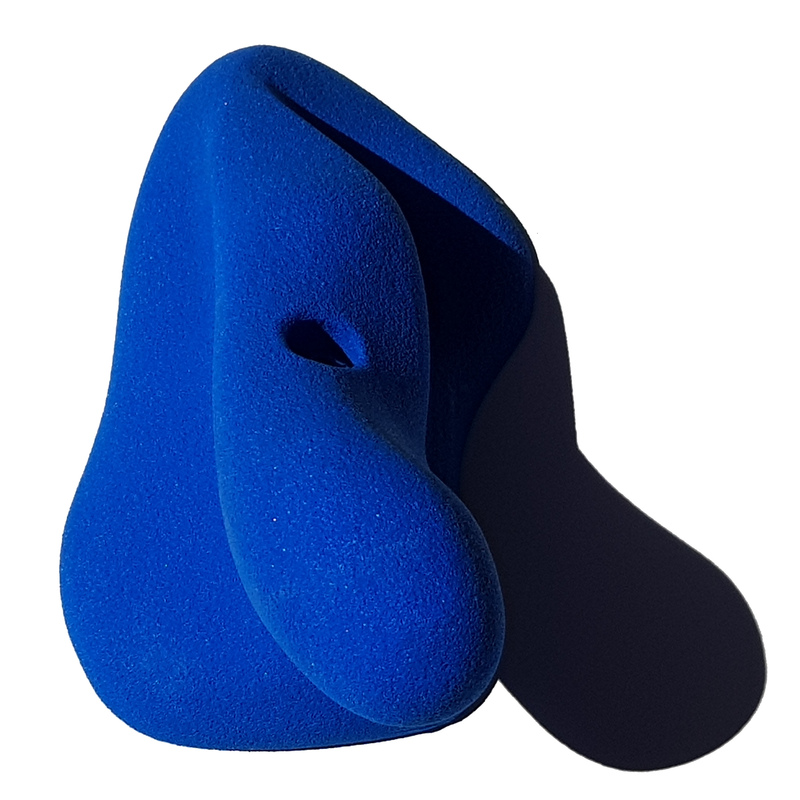 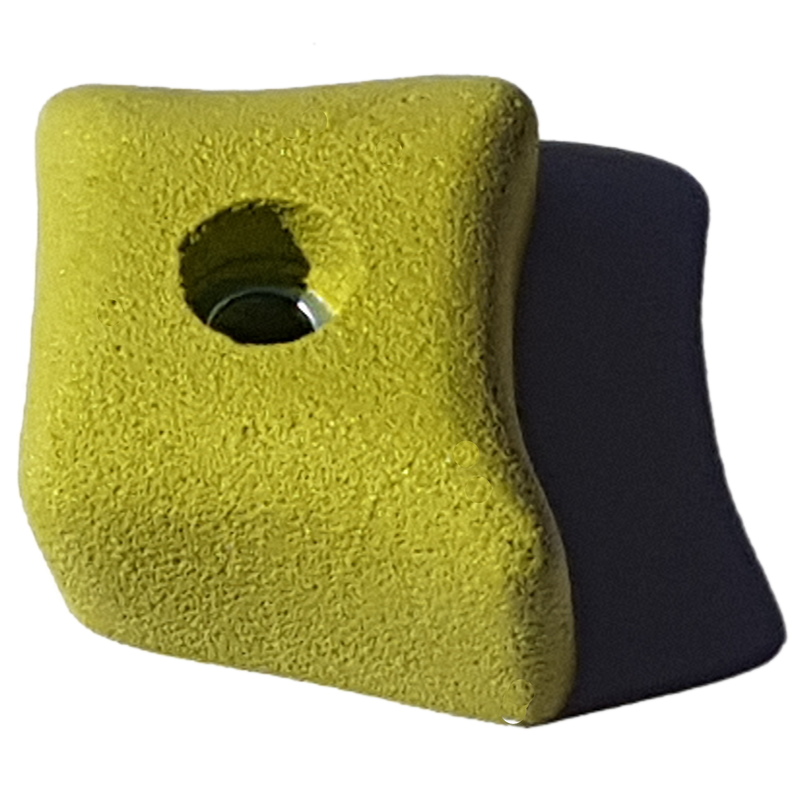 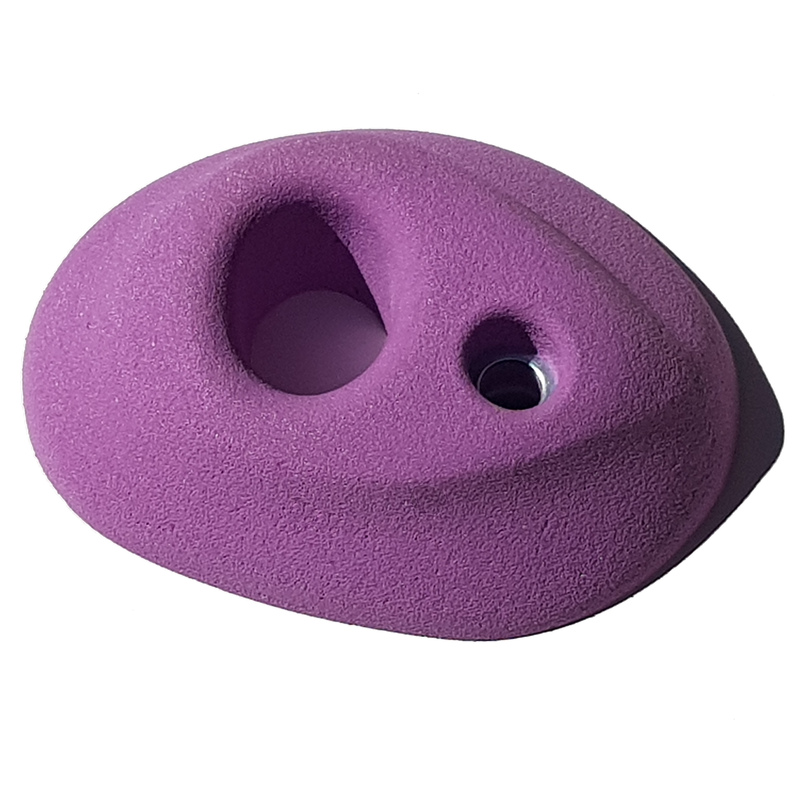 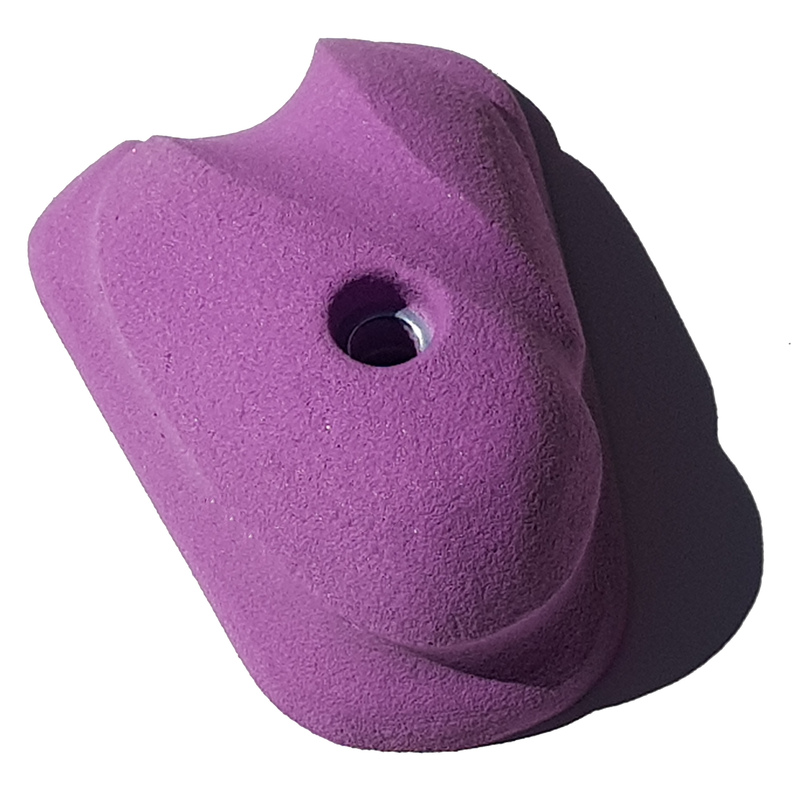 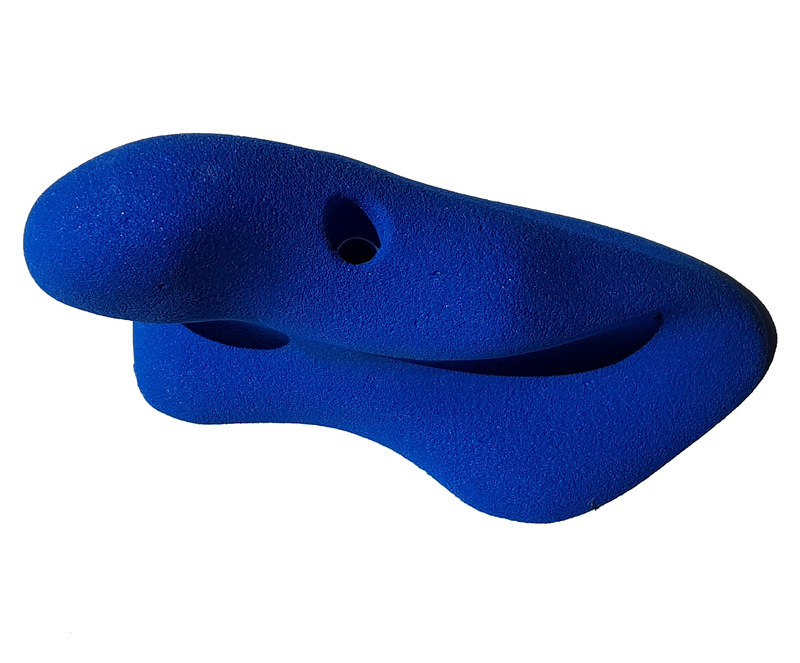 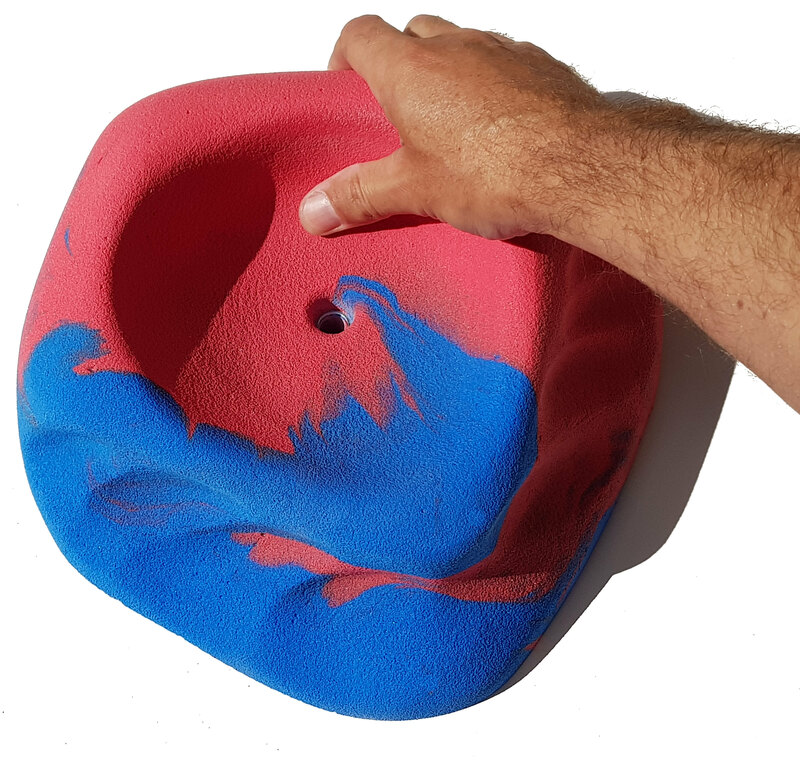 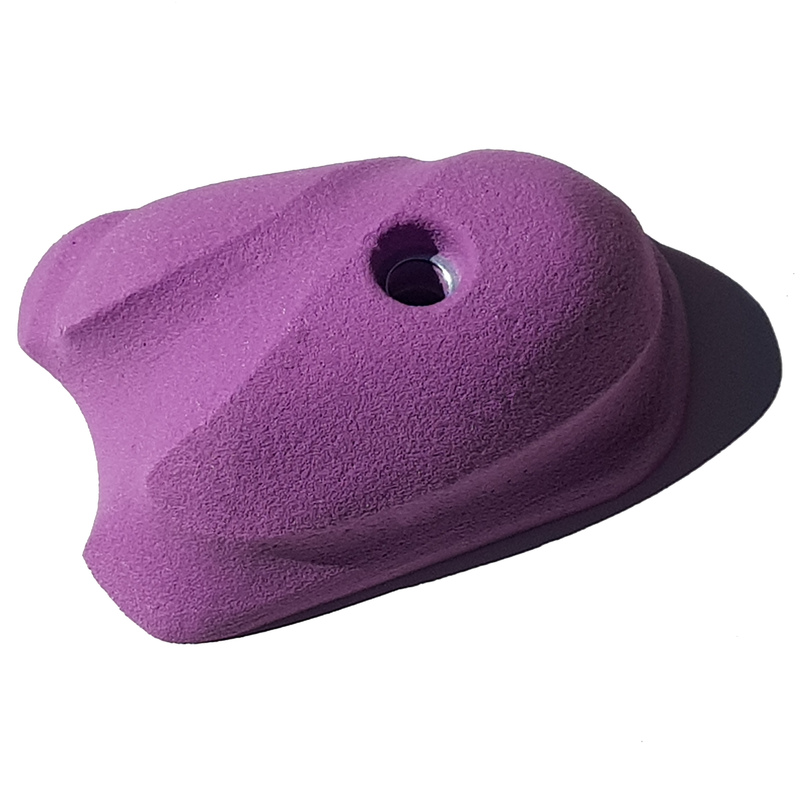 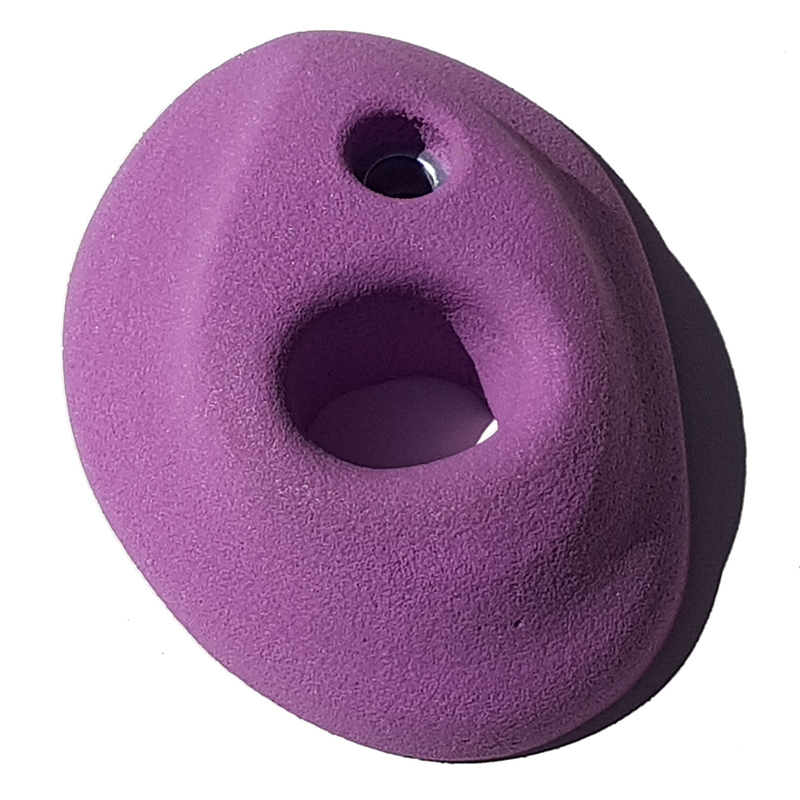 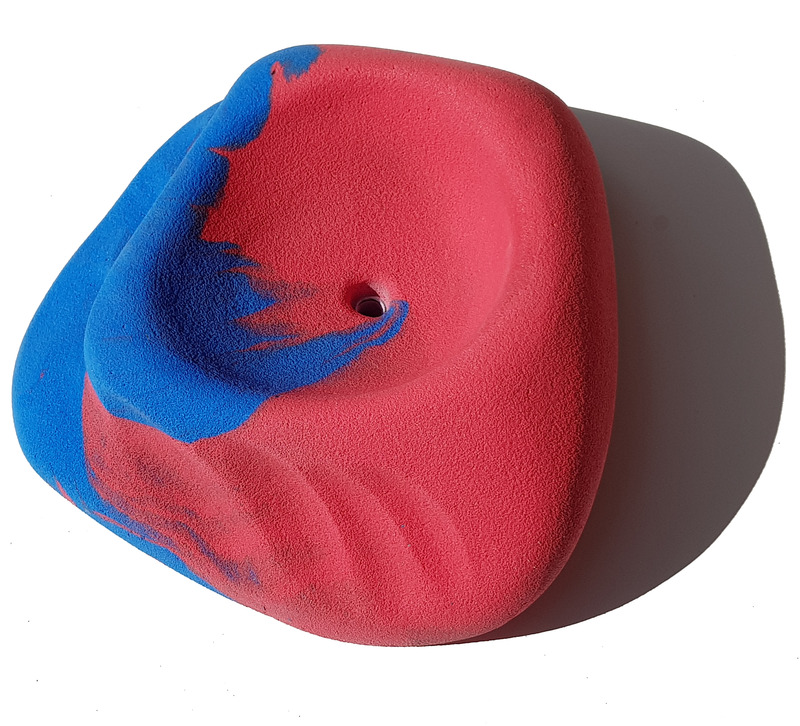 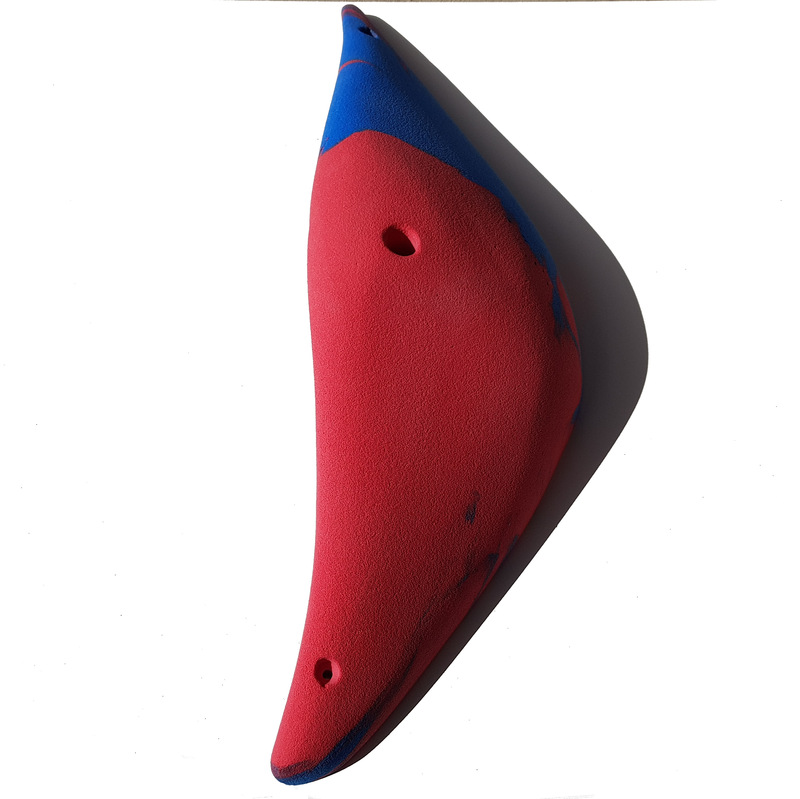 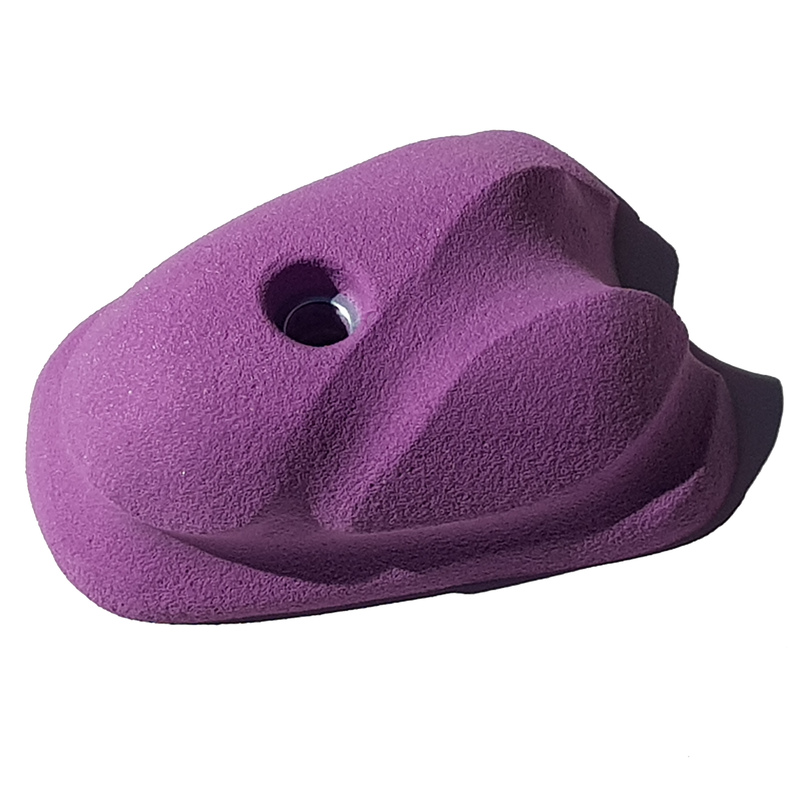 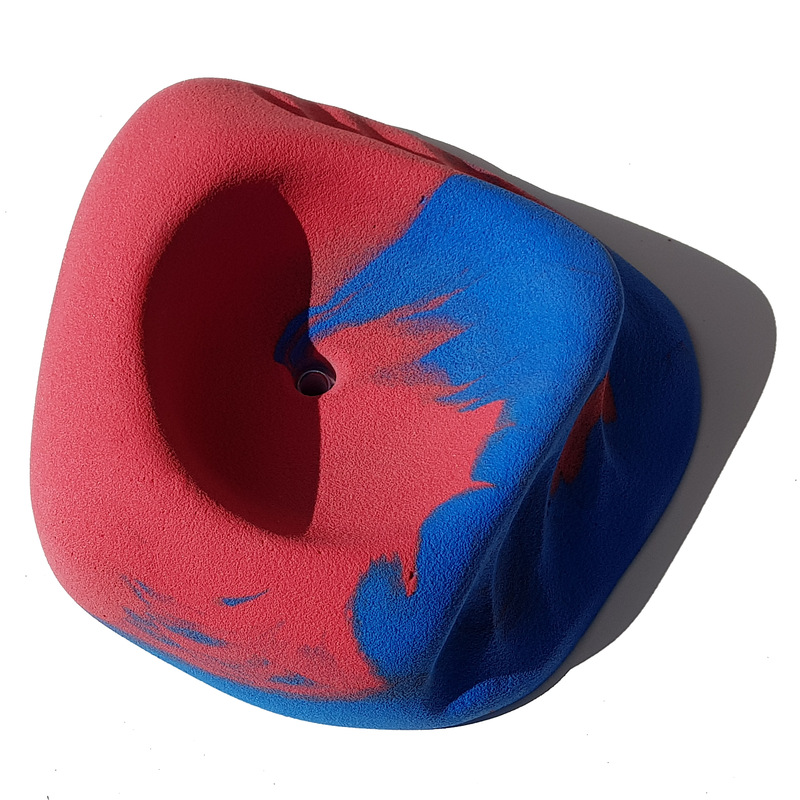 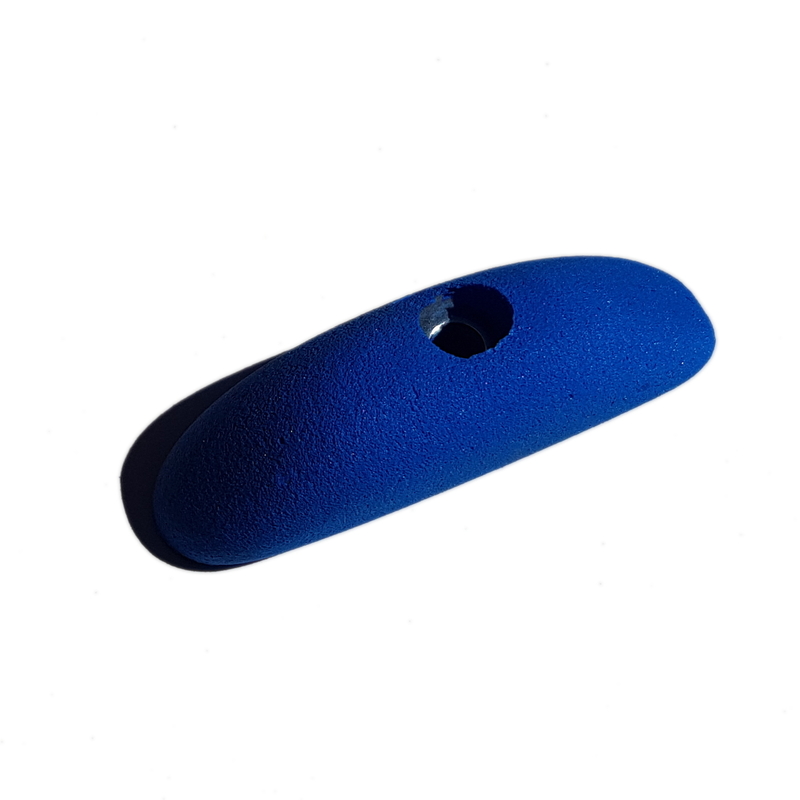 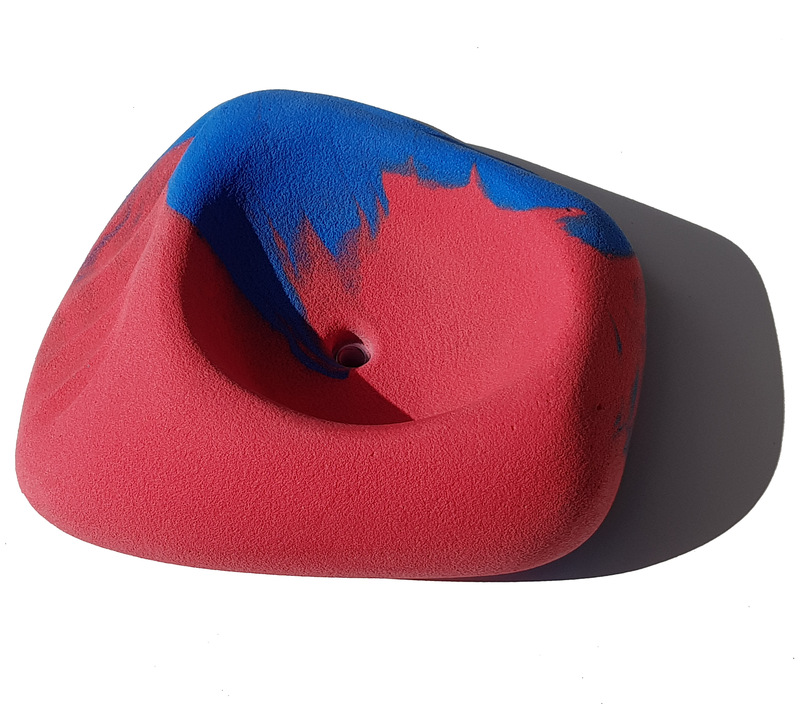 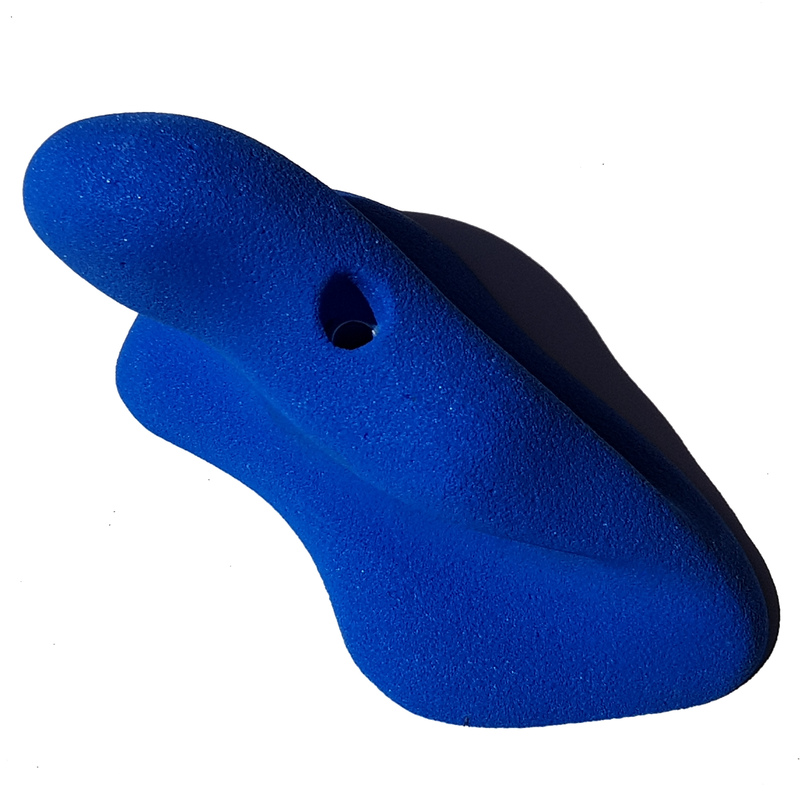 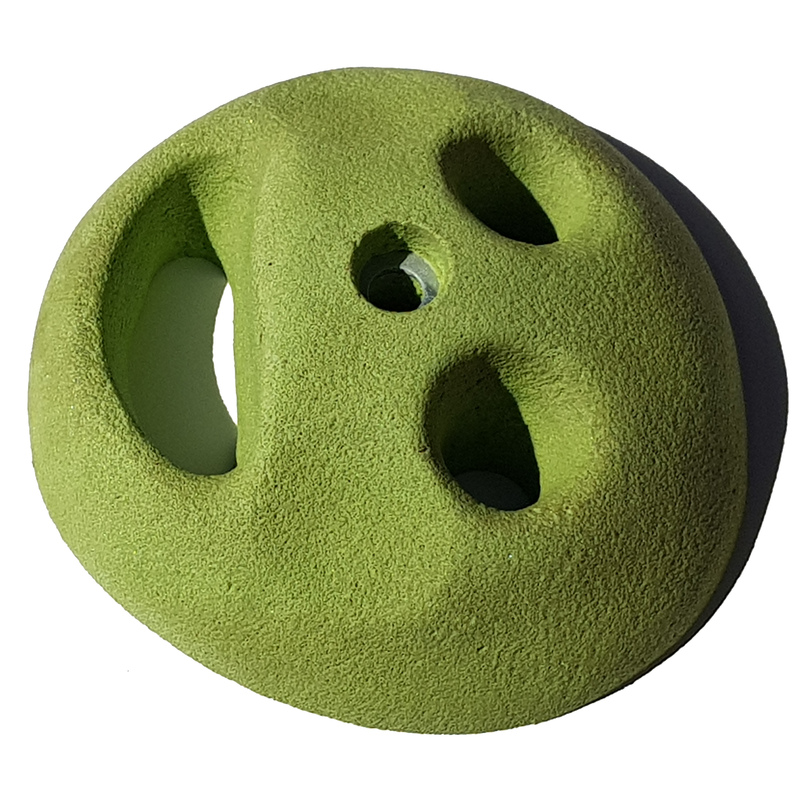 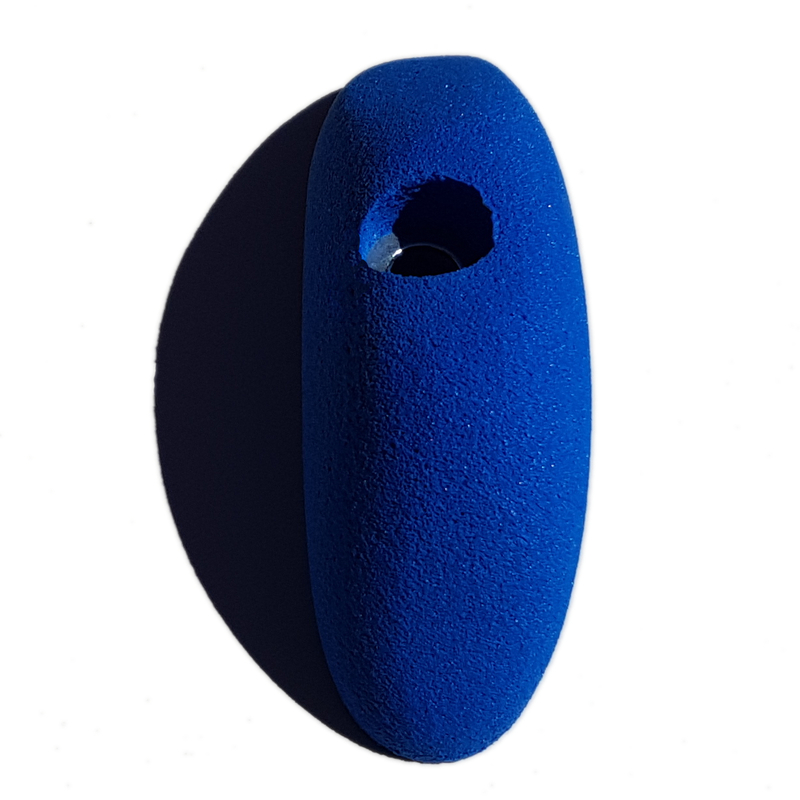 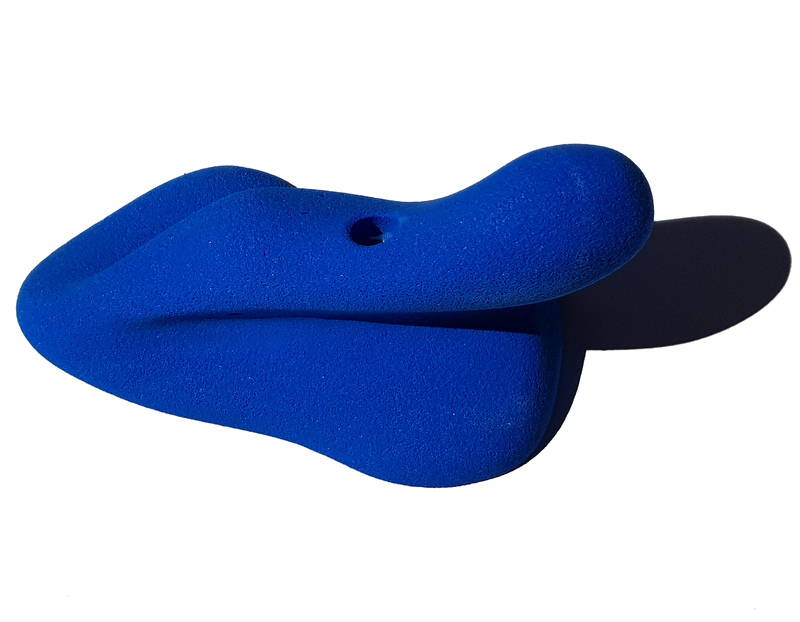 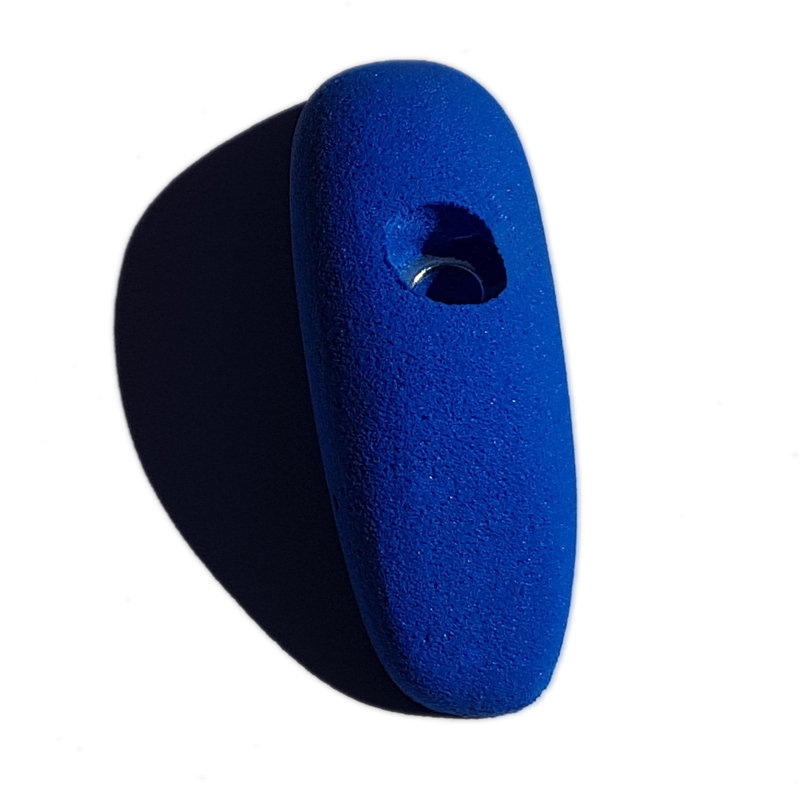 All your regular style climbing Holds in size variations. 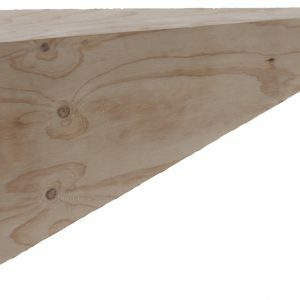 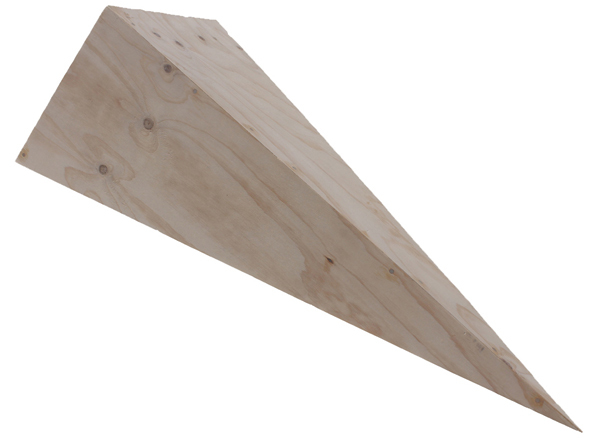 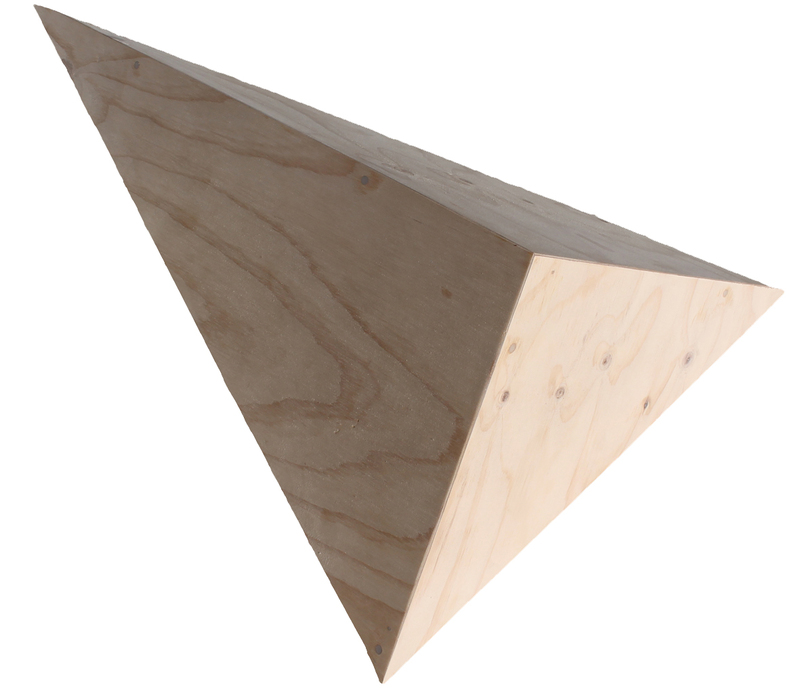 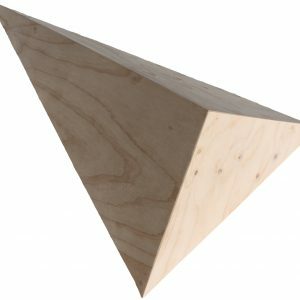 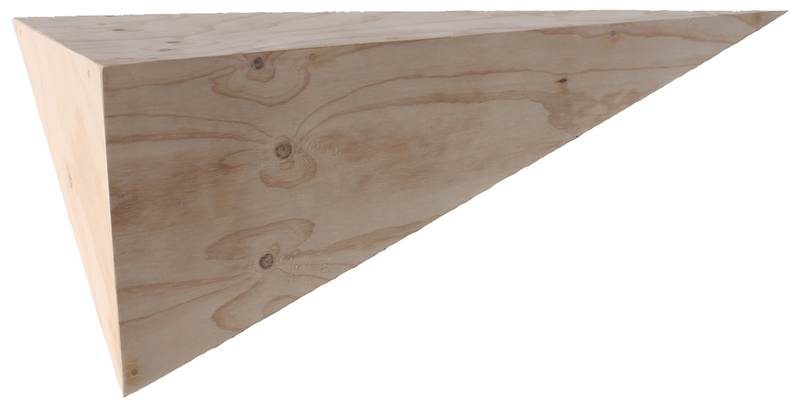 Prefabricated wooden volume for adding depth to your climbing wall. 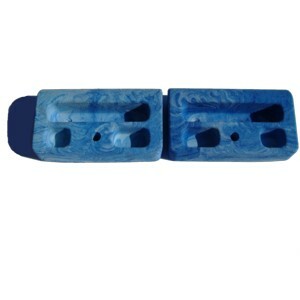 Our new component system of finger boards is just what you’re looking for. 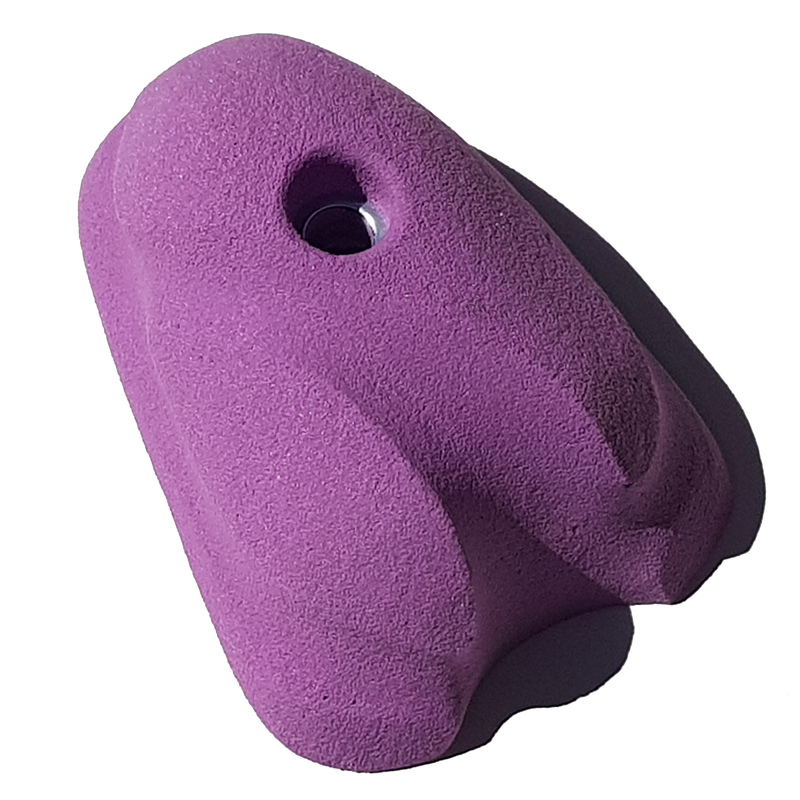 The first consists of a rounded top edge, deep full length slot, medium depth three finger pocket and a medium depth two finger pocket. 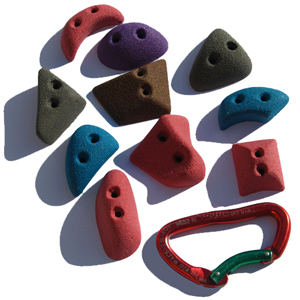 They can be arranged/angled in a way that that is perfect for your way of training. 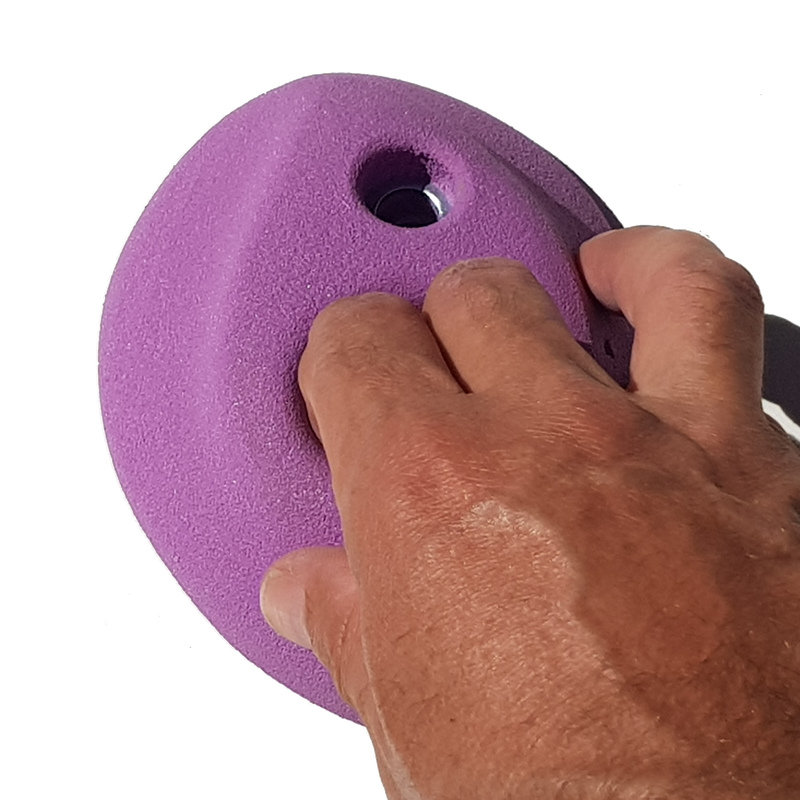 Each component will be released with a particular place among the other components in mind but really the only limitation is in your imagination. 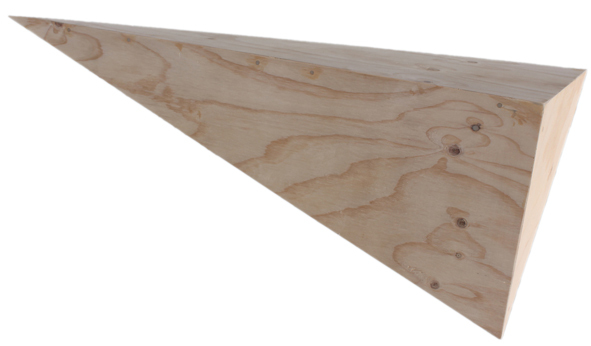 The first of the components can also be stacked one above the other on a board or on your overhanging woody to form a campus board suitable for all levels of ability. 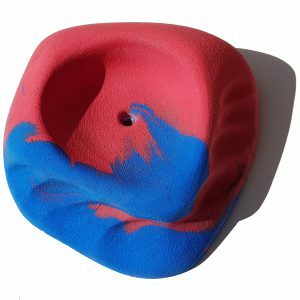 Great pinch or is it a slope, hmm. 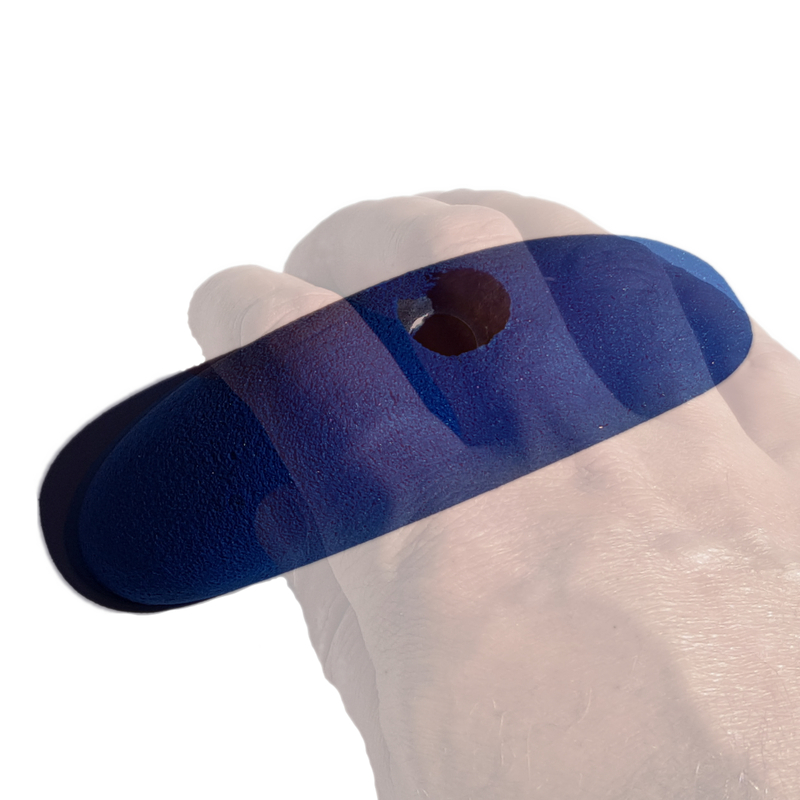 Positive edge or pinch, versatile classic! 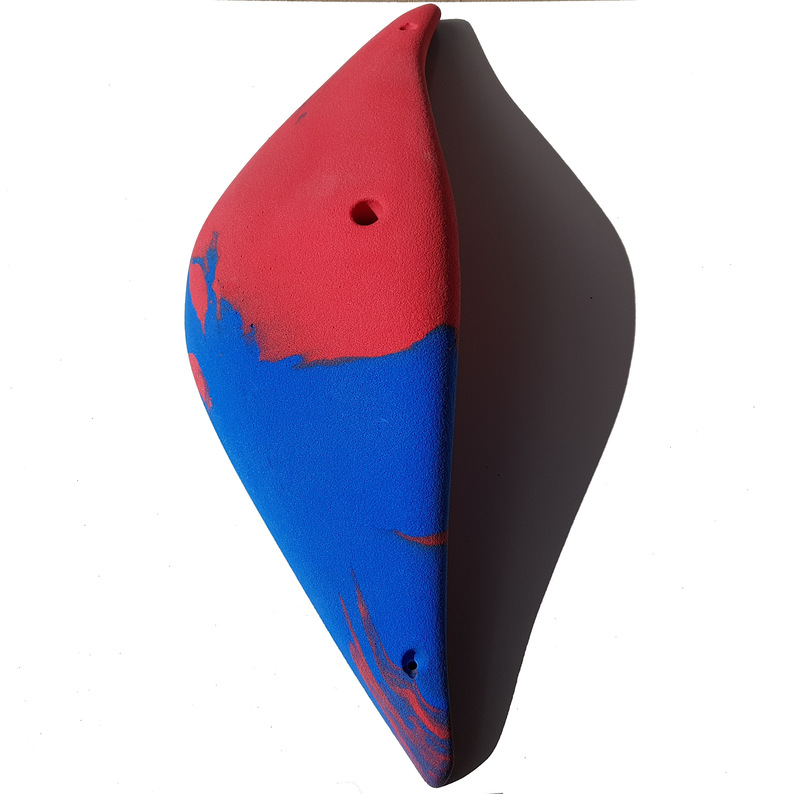 Crimp it or pinch it, slightly more positive than the S2. 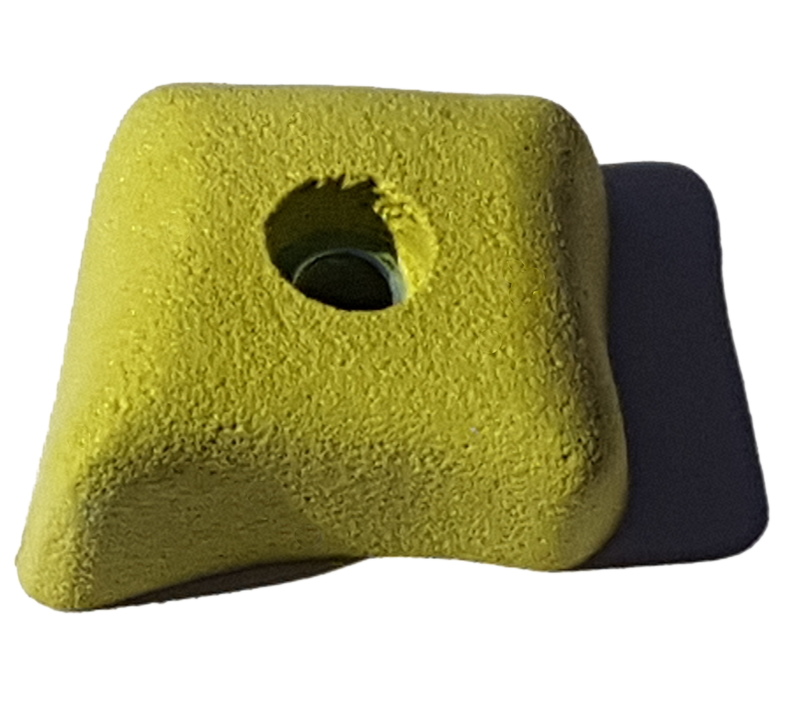 10 Screw on holds Great for filling those spaces where bolt ons won’t go. 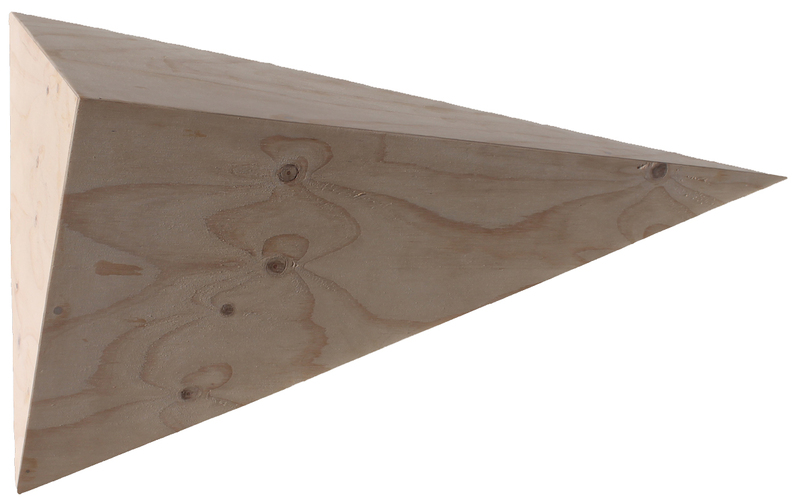 All with double screw fixings for antispin. 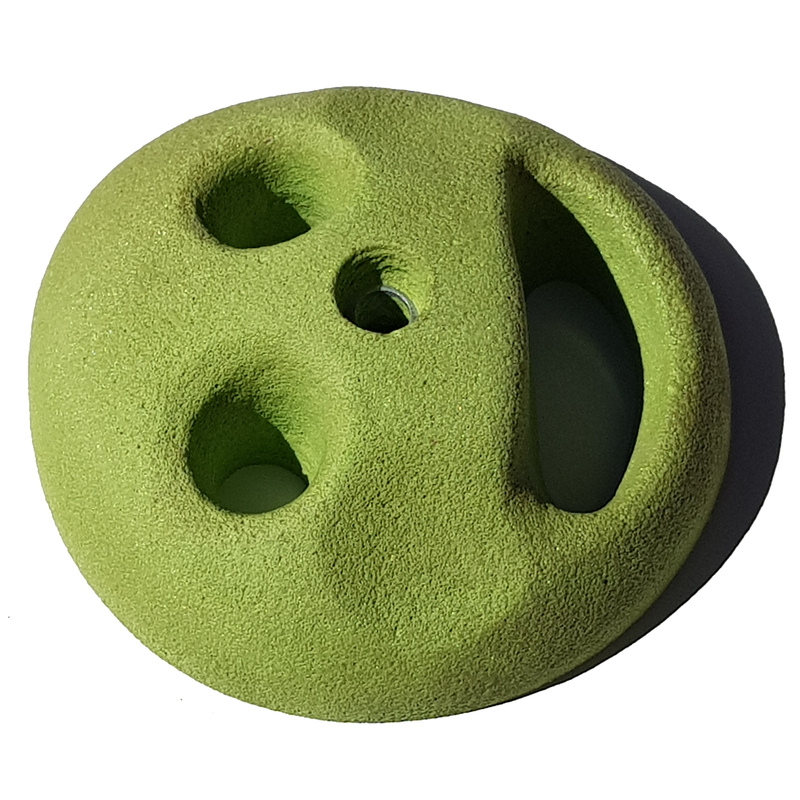 “Make those feet work”. The Smiley can be a sloper, pocket or bucket depending on how you position it. 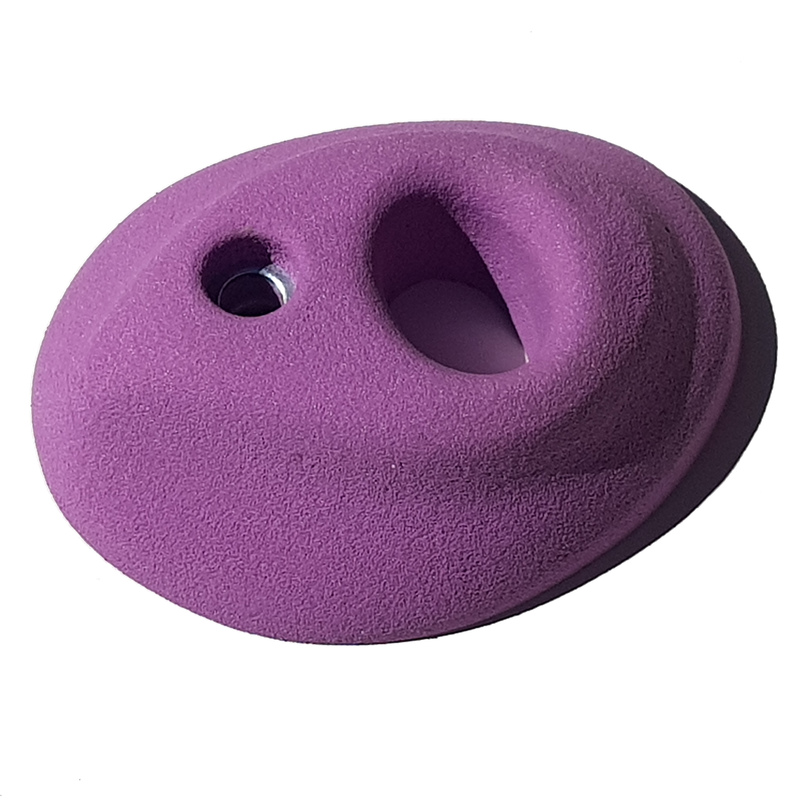 Versitile pinch,jug or undercling for slight overhang or roof. 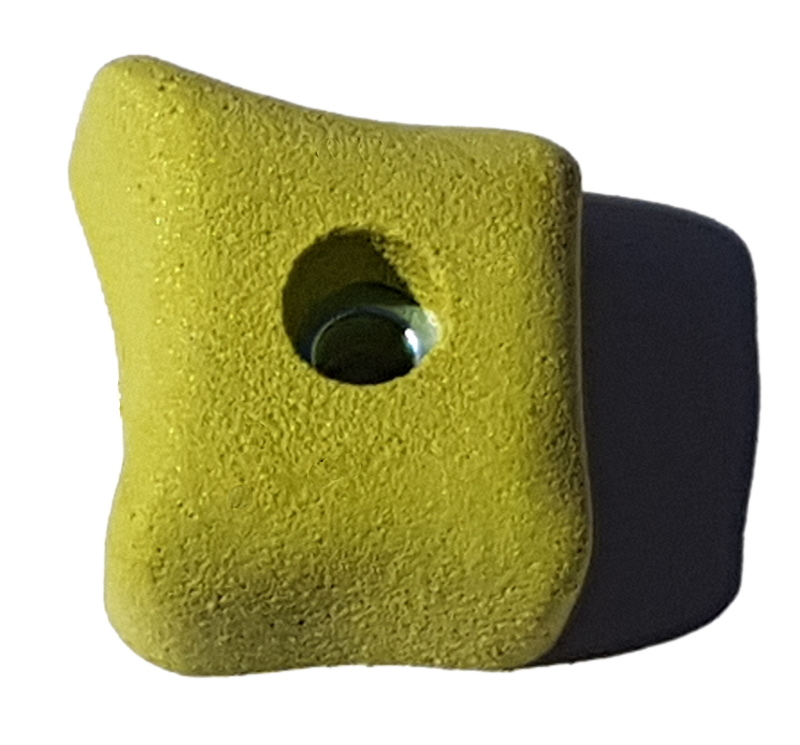 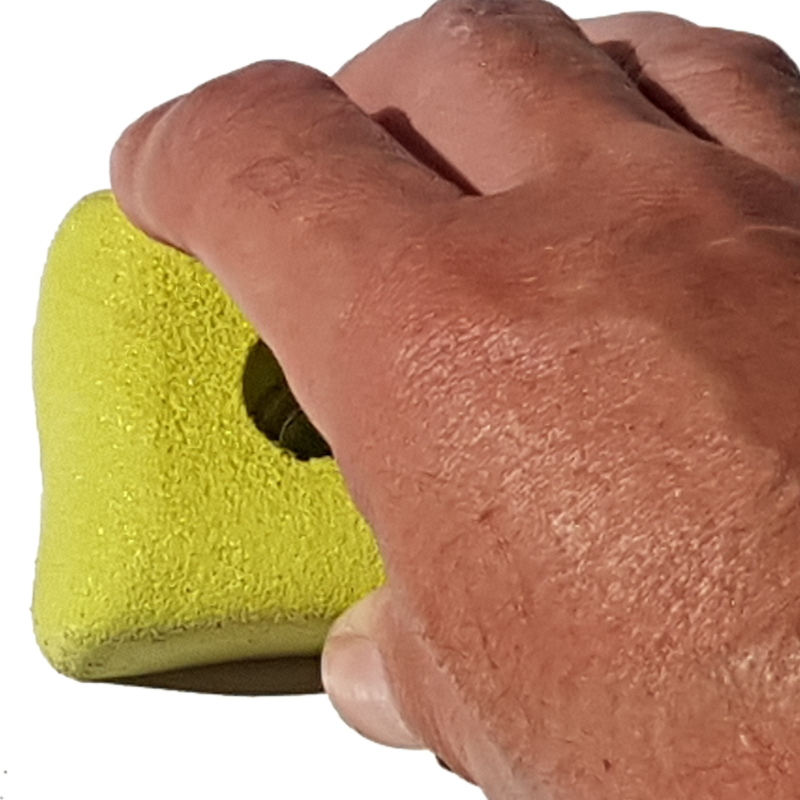 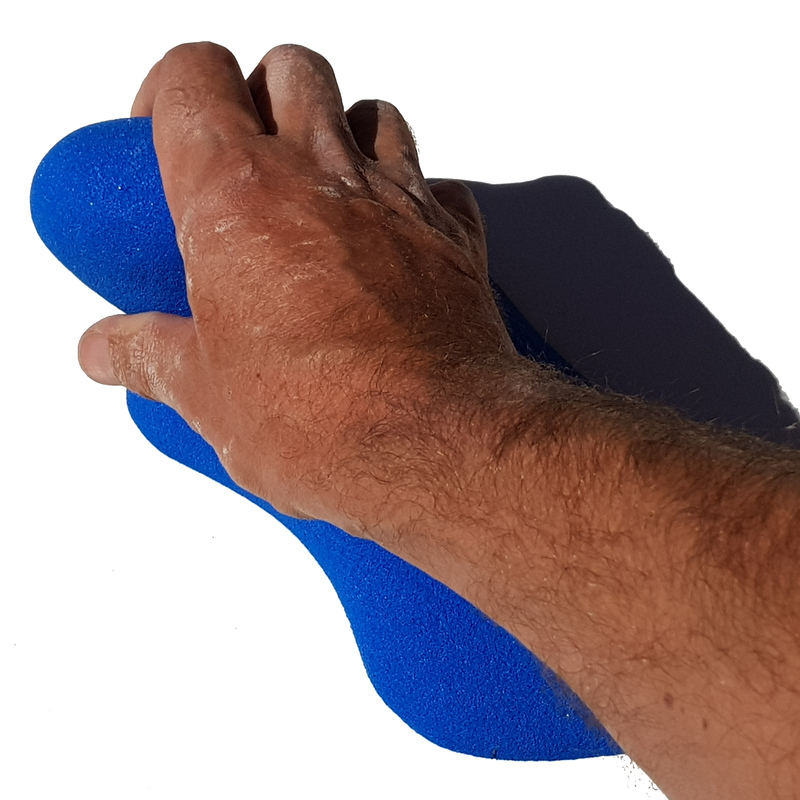 Slightly incut with a large radius edge vertical for a long hand over hand pinch, inverted for that desperate slope or incut upwards for that ledge you need to heel hook. 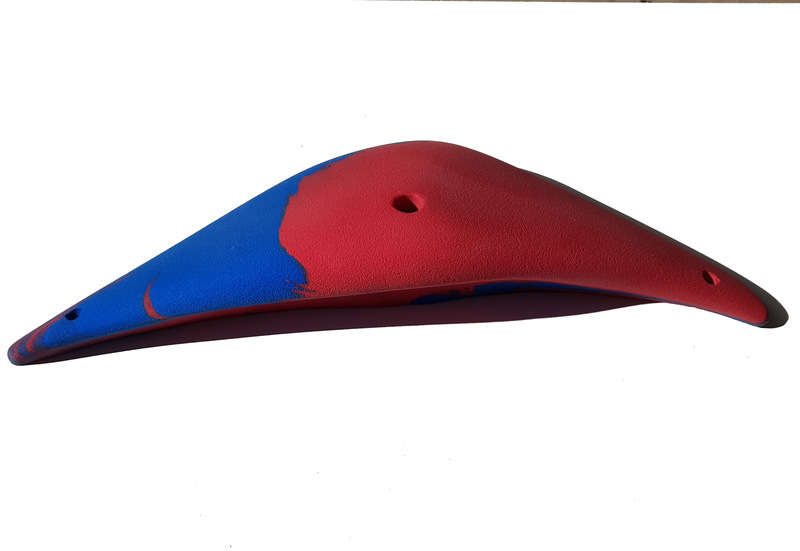 And yes it’s bigger than the B1!!! 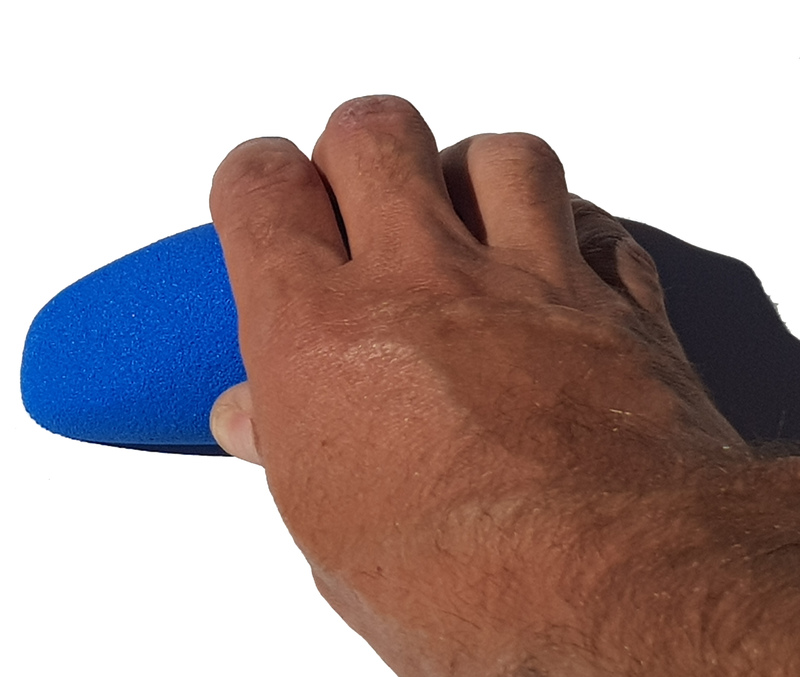 Two finger pocket with a gentle radius.